Experience the luxury of a spa right at the heart of your bathroom with this super-plush bath rug. The Better Homes and Gardens Bath Rug will pamper your feet with thick and plush nylon yarn. The rug also features skid-resistant latex backing to make sure it will stay in place. Bought these about a year ago, and although they were very pretty, they did not hold up very good. The backing ripped away from the rug part and shed horribly. I had bought two for my bathroom and another problem was, Walmart changes the colors often, so if you need to replace one, you can't and you are left having to buy a new color, or redo your whole color scheme. Paying $14.97 per rug is way to much, because the quality of the rug does not last long. I will never purchase anything Better Homes and Gardens again, the quality is very poor for the price. Another note, I washed these rugs in a gentle cycle with cold water & Woolite. Do not recommend. Home territory searches the web to find the best prices and availability on Bath Rugs and related products foir your home like Better Homes and Gardens Thick and Plush Polyester Bath Rug. 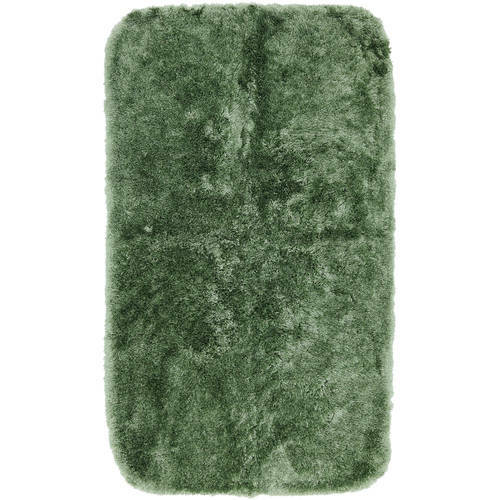 For this page, related items include products we find that match the following keywords: "Bath Rug|Bathroom Rug" at our vendor partner Walmart - Click More Info / Buy Now to check for price rollbacks!. Better Homes and Gardens Thick and Plush Polyester Bath Rug is one of 100 Bath Rugs and related products available for sale through HomeTerritory.com, If you have any questions on this product, please give us a call at 734-971-1210 during the hours of 9am - 5pm EST for assistance. Thank you for shopping at Home Territory, the home furnishings superstore!